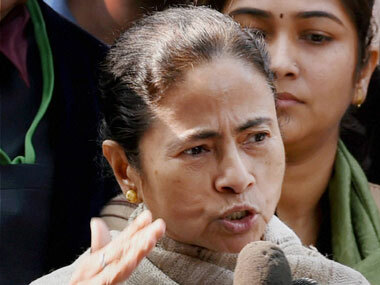 Home political news tourism Mamata Banerjee skips tourism festival in Darjeeling; is 'normalcy' in the hills a mere eyewash? Mamata Banerjee skips tourism festival in Darjeeling; is 'normalcy' in the hills a mere eyewash? If the idea behind hosting the five-day tourism festival that is currently underway in West Bengal's Darjeeling and Kalimpong districts was to illustrate that normalcy has been restored in the region after weeks of political turbulence earlier this year, then things have not quite gone according to plan. A scheduled first-ever industry meet in the state's hill areas also failed to take off. The much-vaunted conclave, to have been held on Thursday, that aimed at drawing investment to boost the local economy battered by the June-September 104-day lockdown in response to a call for a separate "Gorkhaland" state has been put off. Only a day ago, the Teesta Rangeet Tourism Festival, 2017, designed to provide a shot in the arm for the tourism sector still counting its losses from months of unrest, began, despite the music, on a rather disappointing note as Chief Minister Mamata Banerjee could not be there at its inauguration, not just belying expectations but also raising several pairs of eyebrows. While the proposed industry meet has been deferred to February 2018 the question driving political discourse in the hills now is what might have prompted Banerjee’s decision not to turn up for the start of the tourism festival, even though she has been quite a frequent visitor till her last trip which precipitated the renewal of the statehood demand. Was not her government a joint sponsor of the event along with the Gorkhaland Territorial Administration (GTA)? The official line well might be that she has other engagements. But could it be that the state authorities are not quite convinced that the present calm in the region is stable enough and will hold, notwithstanding the powers that be proclaiming otherwise? This throws up the question of whether or not it would be naive to assume that the times of political uncertainty are over despite both the board of administrators of the GTA and the state government seemingly in a rush to assert that normality has indeed returned to the hills – something which the holding of the tourism festival and the now-postponed industry conclave sought to demonstrate. Clearly, there linger residues of concern that a return of the chief minister to the hills could be met with resistance by sections of the local people who continue to feel hard done by both the state government and the Centre for their failure to at least get together in an attempt to resolve the crisis. After all, it has been three months now since Union Home Minister Rajnath Singh, had promised talks following which the protracted strike pressing for "Gorkhaland" had been called off. This cuts into the heart of the problem. Neither Kolkata nor New Delhi has been able to get over their obduracy—and differences—on the question of which of the leaders of the region's dominant political force, the Gorkha Janmukti Morcha (GJM), should be invited for future talks. Ought it to be Binay Tamang, chairman of the GTA board or Bimal Gurung, whose suspension for six months as GJM chief the former had virtually orchestrated? All eyes in local political circles are also turned to how the Supreme Court rules in the second week of next month on a state government plea for a recall of the order restraining the West Bengal Police taking any coercive action against Gurung who was served with a look-out notice and slapped with various charges including the Unlawful Activities (Prevention) Act, in connection with alleged criminal offences during the June-September agitation. While Gurung's whereabouts remain unknown to most, the credibility of his one-time party lieutenant Tamang as not just helmsman within the GJM but also a capable steward of the GTA is under scrutiny. Not before the next GTA polls, already five months overdue and with no signs of being held anytime soon, will it be clear which of them has the support of the electorate, or how much of a headway Banerjee’s Trinamool Congress might have made since the chips are down for Gurung. But till then not only will events like the tourism festival or a once-shelved industry conclave go a long way to establish Tamang’s credentials. His recent attempt to get the GTA to function with greater coordination with the district administration—often at odds with each other—is being observed with great interest in a region known for its split-level administration. As, most certainly, is the chief minister’s own agenda in regards to the hills. After having apparently succeeded in getting sections within the GJM to cut down on their animus towards her and the government she has also kept her options open with the one-time electoral ally, Gorkha National Liberation Front – considered the second largest party in the hills. Her government last month set up a Hill Area Development Committee for Darjeeling and Kalimpong districts, appointing GNLF chief Mann Ghisingh as its chairman. Not unlike previous decisions to set up several development boards for different tribal communities – once criticised by the GJM leadership as a part of a political design to "divide the hill people", this more recent move too is being perceived as an attempt by Banerjee to tighten her grip on the region while a fractious hill political leadership looks on.